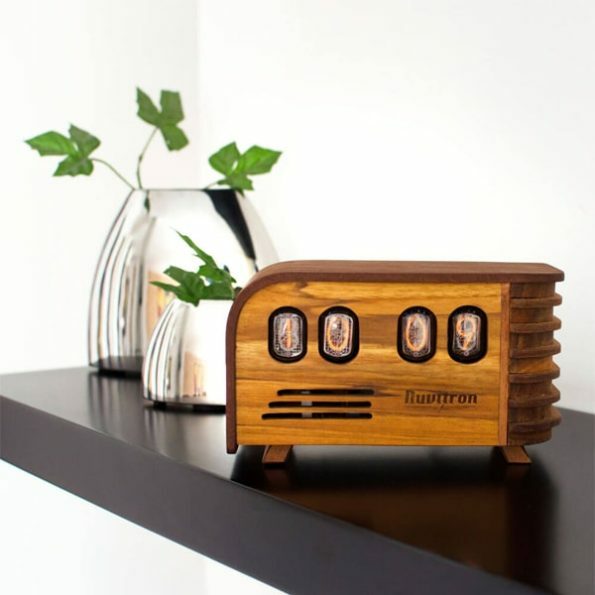 Check this unique handcrafted Art Deco desk clock completely made from Nixie tubes. This is one of the best vintage creation and is enclosed in the wonderful looking wooden clock showcase. With the vintage desk clock you can set the timings in the clocks along with that you can also set temperature in Celsius or Fahrenheit. Decorate your home with this unique desk clock.